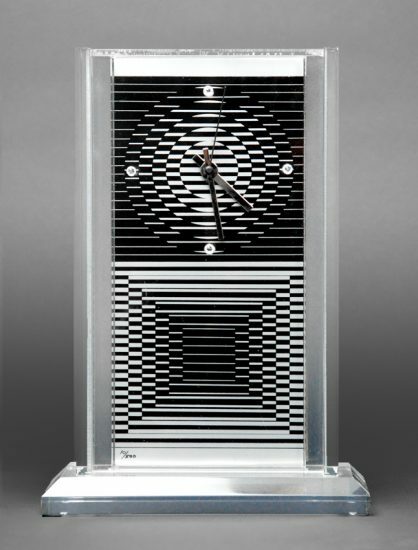 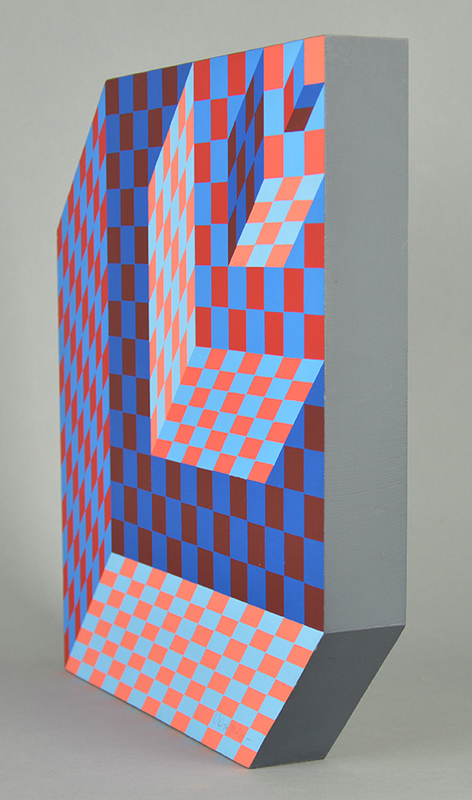 This work is from the edition of 100. 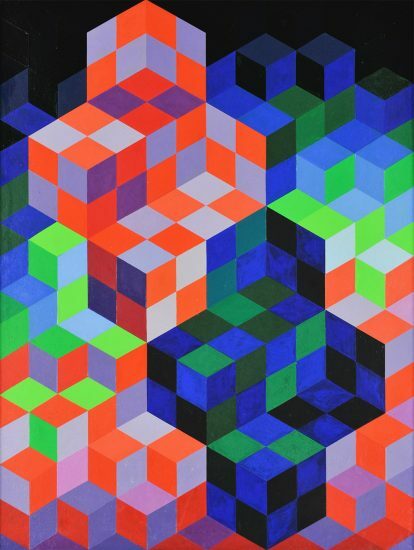 This work is in excellent condition with bright, fresh colors. 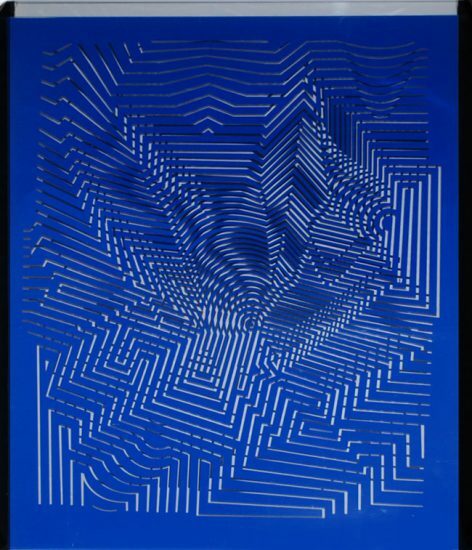 Considered the king of contemporary optical abstraction, Victor Vasarely's Felhoe is one of the greatest examples of his ability to manipulate color, light, and geometry. 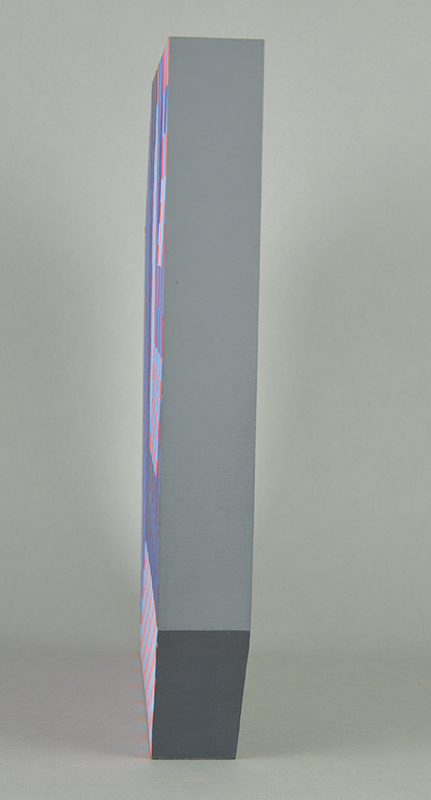 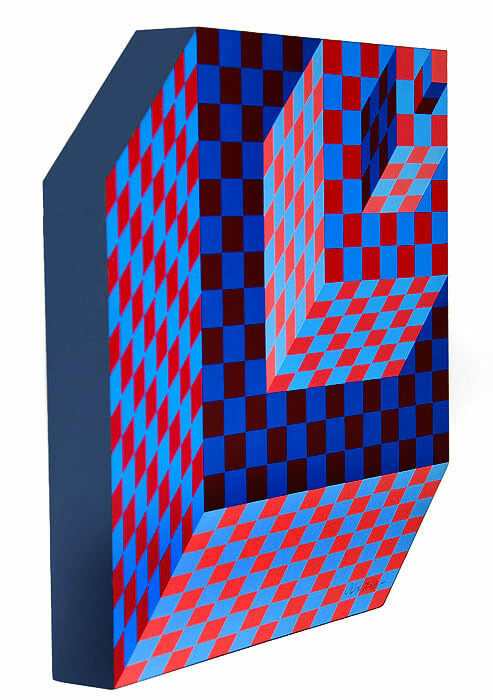 This hand painted acrylic wood sculpture appears to be in three-dimensions, with one side of the work in a complementary red and blue composition with boxes extending to the up right; the reverse of the sculpture is again in a complementary orange and green with boxes extending to the lower right. 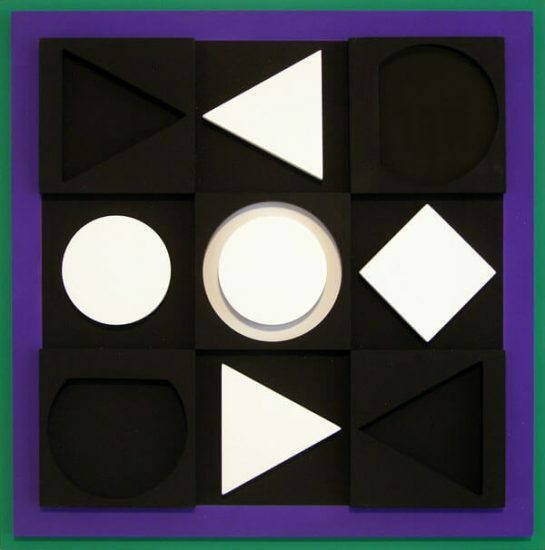 It is a yin/yang arrangement that is perfectly executed against this seemingly simple and minimal wooden block. 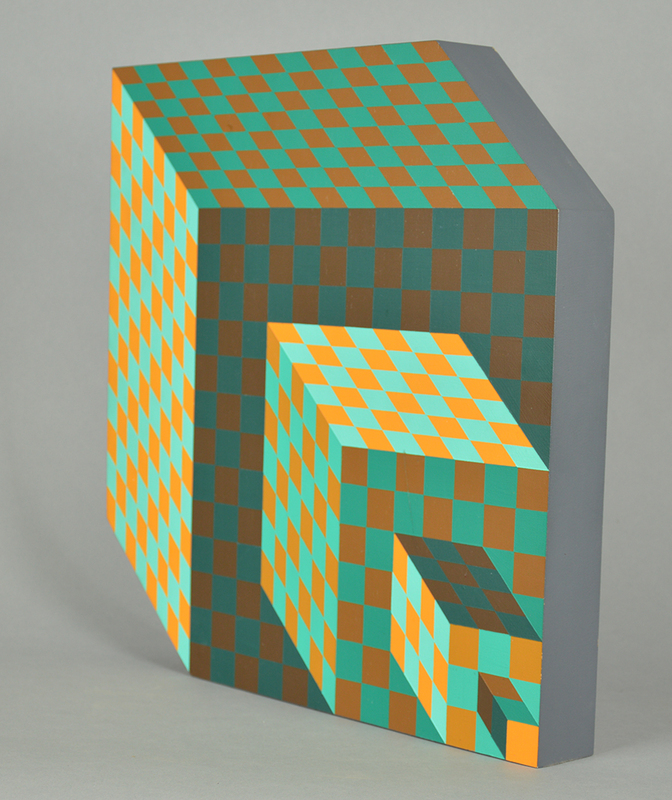 Vasarely has been able to transform and transcend the medium which this artwork inhabits by using alternating hues of the same colors to create deeply-set right angles against a two-dimensional plane. 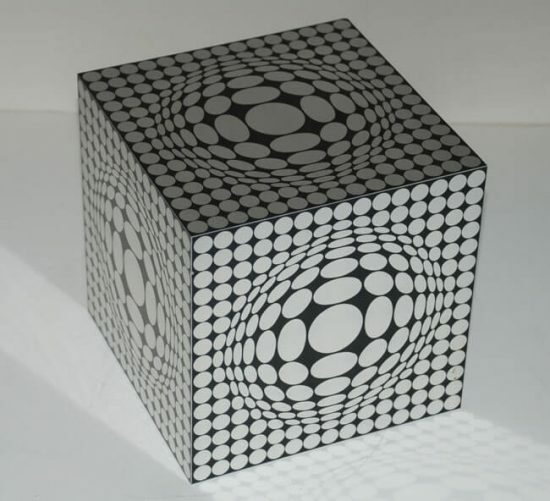 Discussing his thoughts on abstraction, Vasarely stated, "The celebrated transition from representational to nonrepresentational art is only one of the stages in profound transformation taking place in the plastic arts. 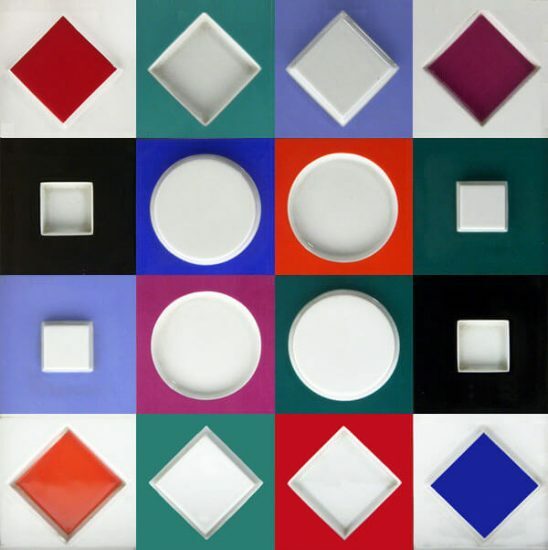 The term 'abstract' in painting refers not to an established fact, but to an irresistible trend toward plastic creation different from the kind we already know." 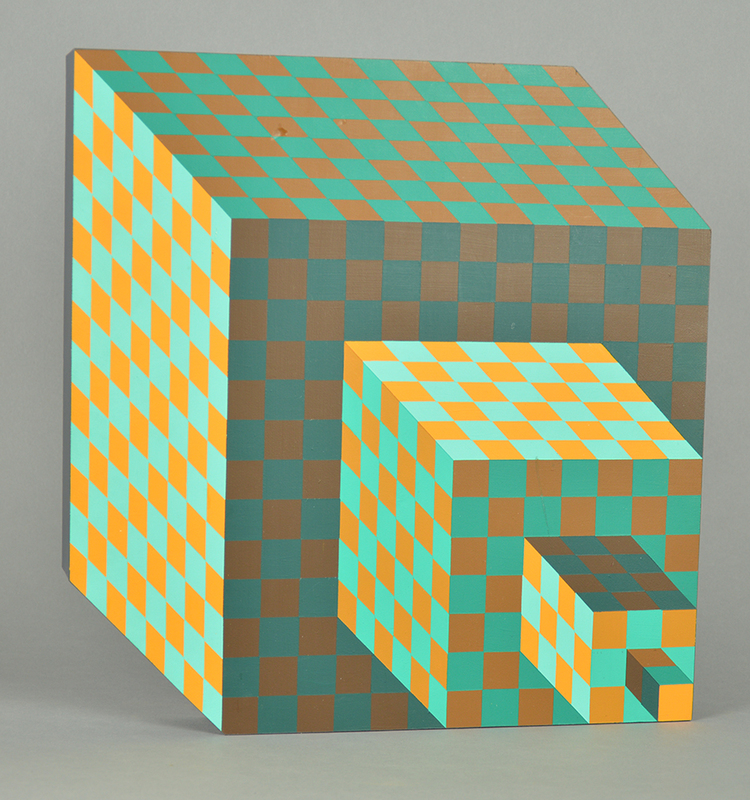 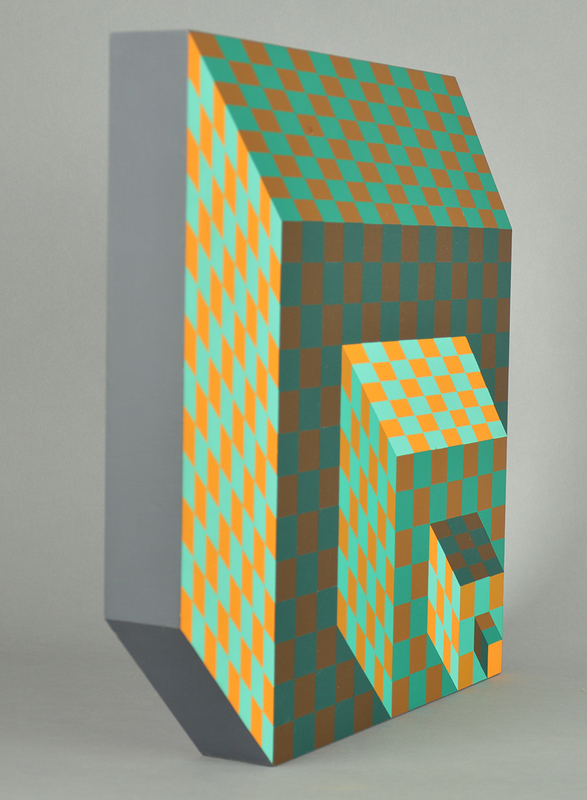 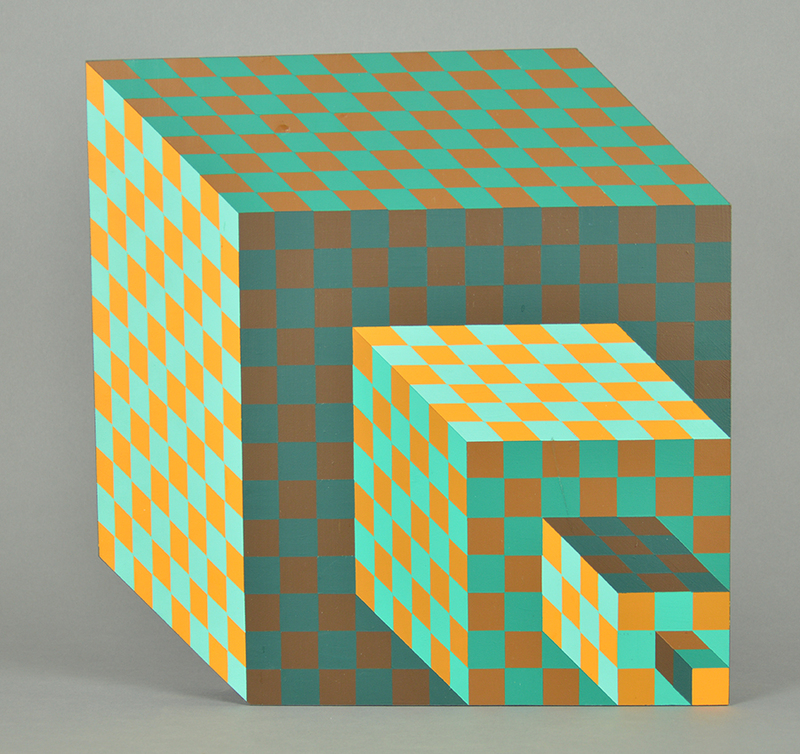 (Vasarely 1978, 13). 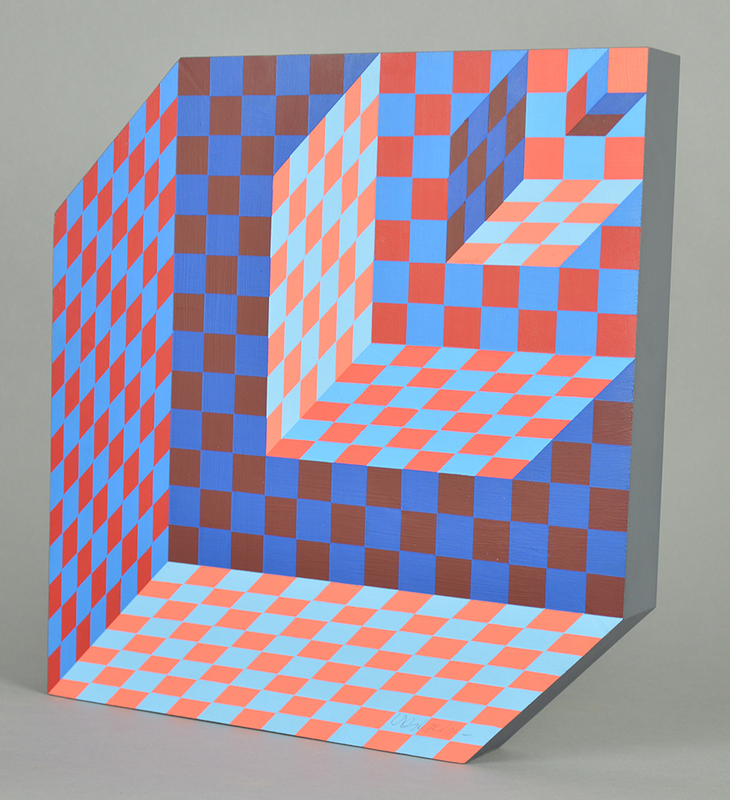 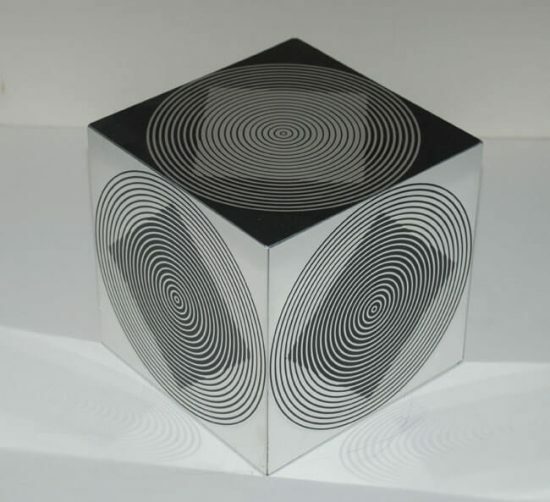 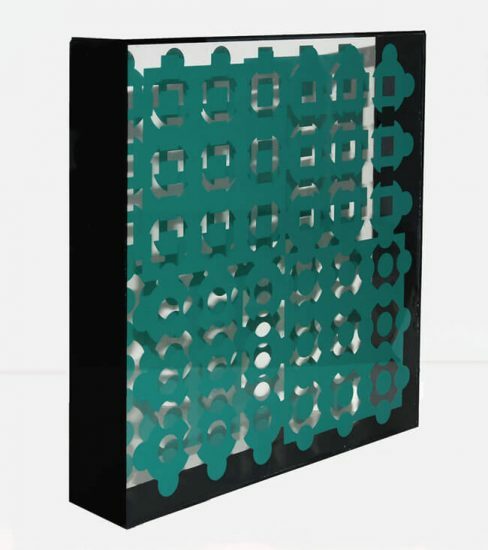 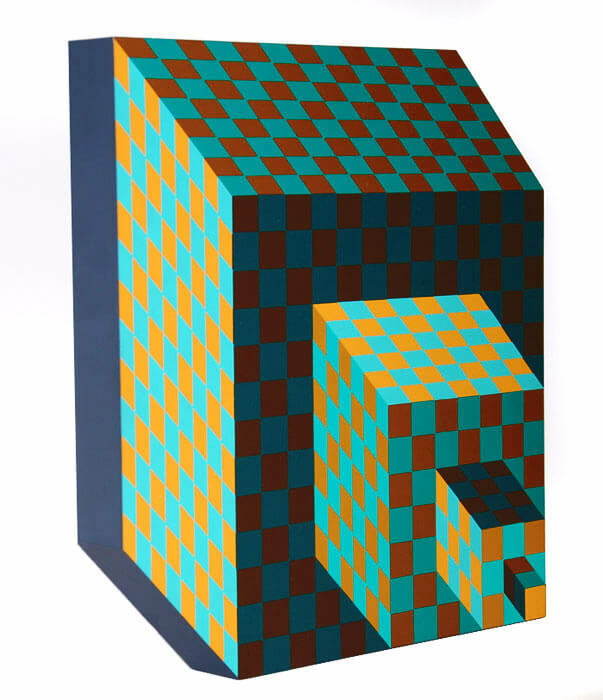 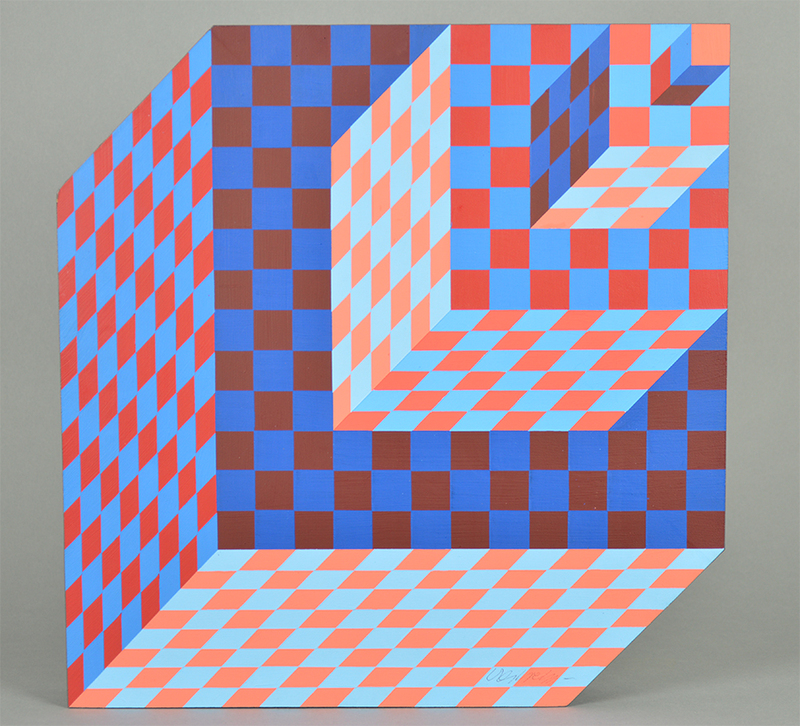 Created in 1989, this hand painted acrylic on wood sculpture is hand signed by Victor Vasarely (Pécs, 1906 - Paris, 1997) in black ink in the lower right. 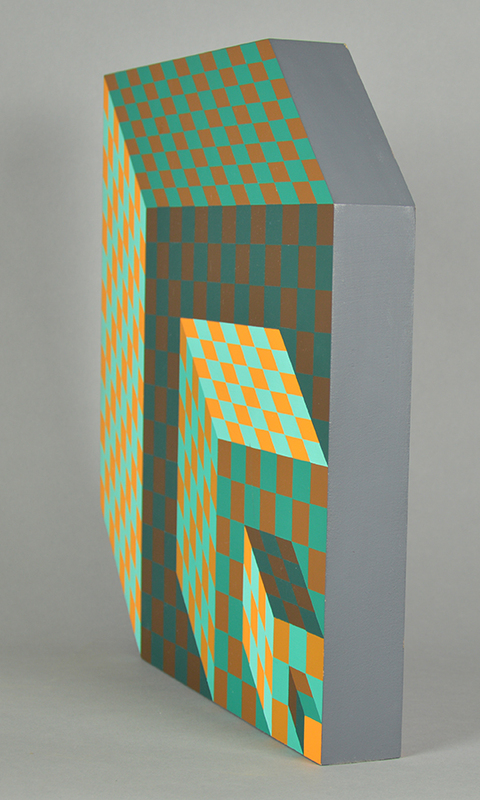 This work is from the edition of 100.